Of all the bridges that link states, countries and cultures, the Oresund Connection in Scandinavia is surely one of the most spectacular. Spanning the Oresund Strait between Denmark and Sweden, the bridge is one of the biggest infrastructure projects ever undertaken in Europe. In fact, the link literally joins two sides of the world, because it joins the Scandinavian road network with the one in central and western Europe. Oresund carries a four lane motorway and two train tracks for slightly more than 16 kilometres between the Danish capital of Copenhagen and the southern Swedish city of Malmo. We crossed by rail and were stunned by the tremendous views across the scenic and busy shipping lanes of the Flintrannan navigation channel. After leaving Copenhagen, the train entered an underwater tunnel and emerged four kilometres later on an artificial island called Peberholm before joining the bridge. With the train suspended below the main roadway, the beauty of the Oresund Strait spread out below, before and all around us. There was blue water in every direction, as far as the eye could see. Anyone who has ever flown into Copenhagen will be familiar with this watery wonderland, but a journey across the Oresund bridge brings it up close and personal. And, although it is said to have the longest cable-stayed main span in the world, the Oresund bridge is also typically Scandinavian – sleek, effective and under-stated. In an area of so many islands with a history so closely linked to the sea, connections such as Oresund are important. 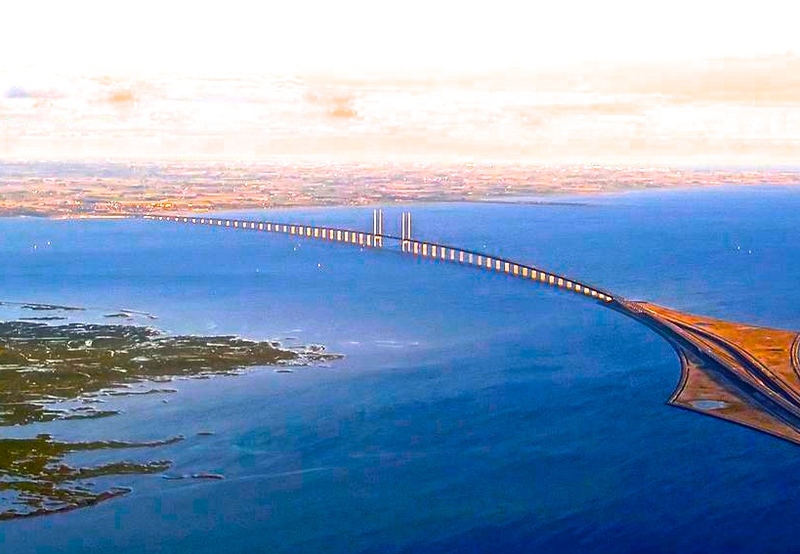 Denmark also boasts the Great Belt Fixed Link that joins the country’s east and west. Another impressive piece of engineering, the Great Belt runs between the Danish islands of Zealand and Funen. And I believe there are plans for an undersea tunnel to improve the transport link between Copenhagen and the German city of Hamburg. In contrast to the superb architecture of picturesque Copenhagen, the arrival at Malmo, on the other side of the Oresund corridor, initially, is low-key. 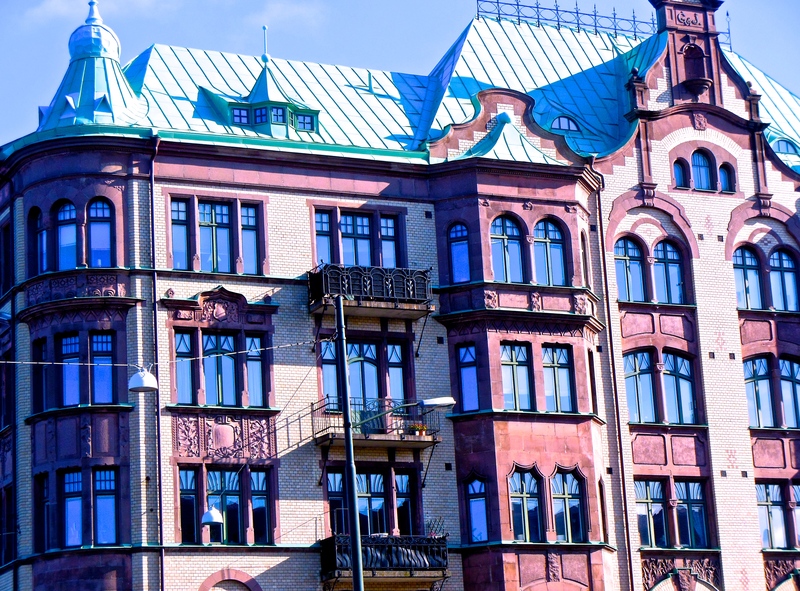 However, it doesn’t take long to find beauty in Sweden’s third biggest city. There’s a canal spanned by ancient stone bridges; grand buildings in the old town area and the buzz of youth common with centres of learning. 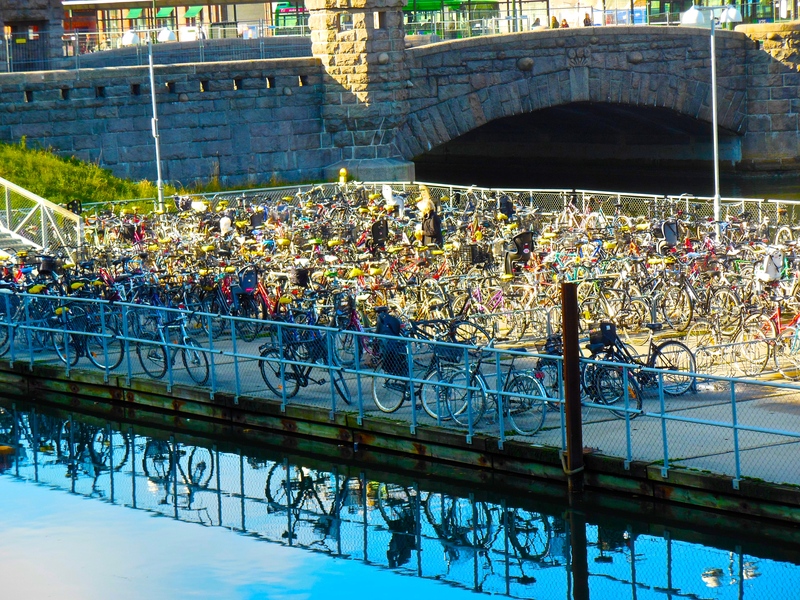 And Malmo also boasts quirky touches such as pontoons moored in the canal to safely hold hundreds of bicycles parked for the day. I guess it serves the dual purpose of keeping them off the streets and ensuring they are safe when the owner returns. 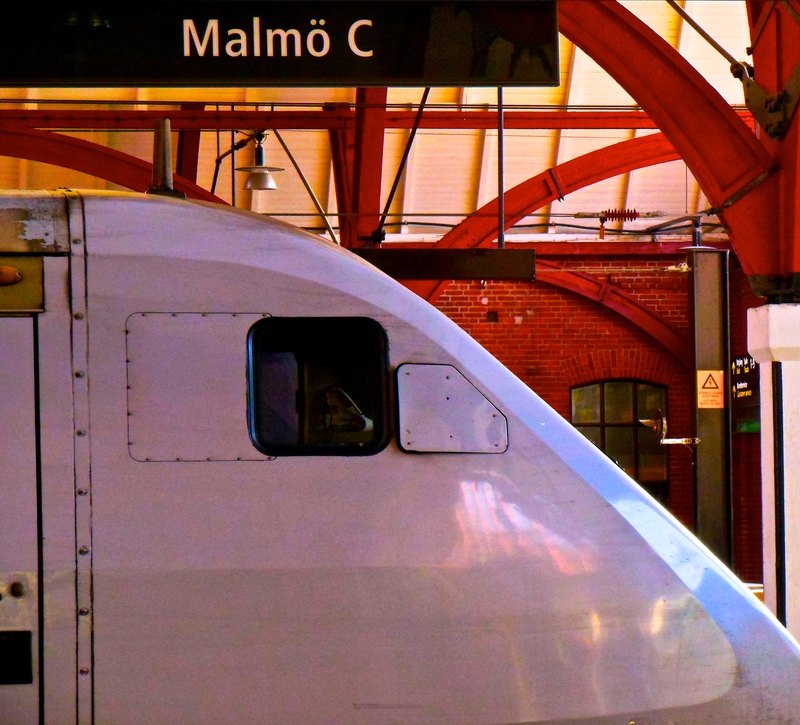 Standing in Malmo’s grand Central Railway Station, waiting for a train to arrive, it was also interesting to see images of local countryside and Malmo scenery screened on the opposite concrete walls of the underground platform. It certainly beats puzzling over advertising billboards written in Swedish. 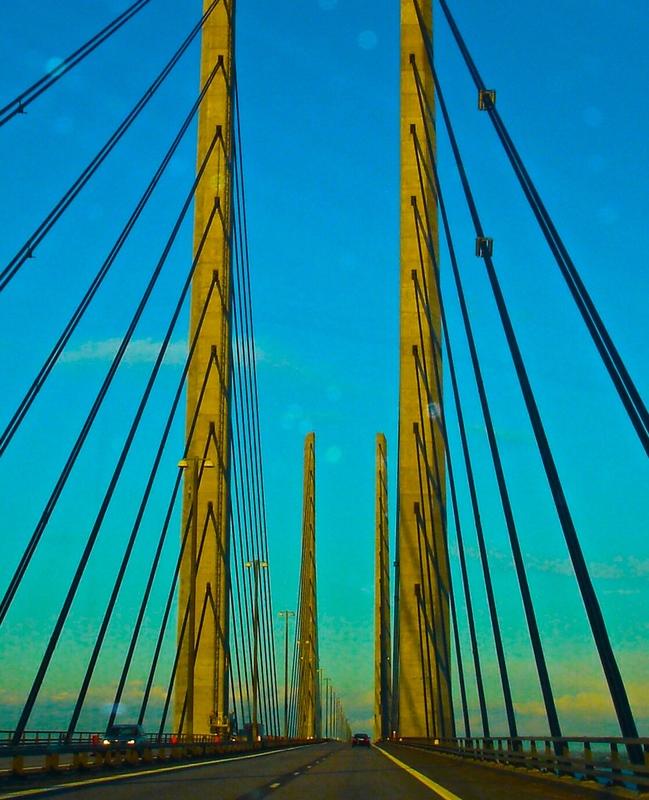 Perfect for travelers wanting a quick connection between Sweden and Denmark without flying, the Øresund Bridge now carries more than 60,000 travelers daily – local commuters and visitors alike. The toll for driving across the Øresund Bridge is paid at the toll station on the Swedish side. I believe they accept both cash and credit cards.